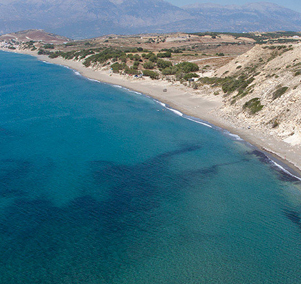 The excavation of a major Bronze Age site has been ongoing at Kommos since 1976. 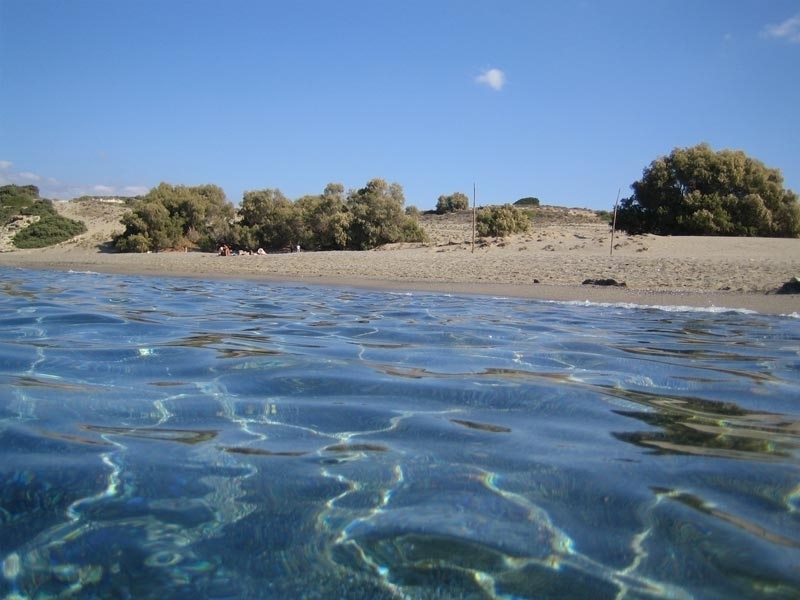 Komos first attracted the attention of archaeologists in 1924, when the famous excavator of Knossos, Arthur Evans, heard of large storage vessels being found there. 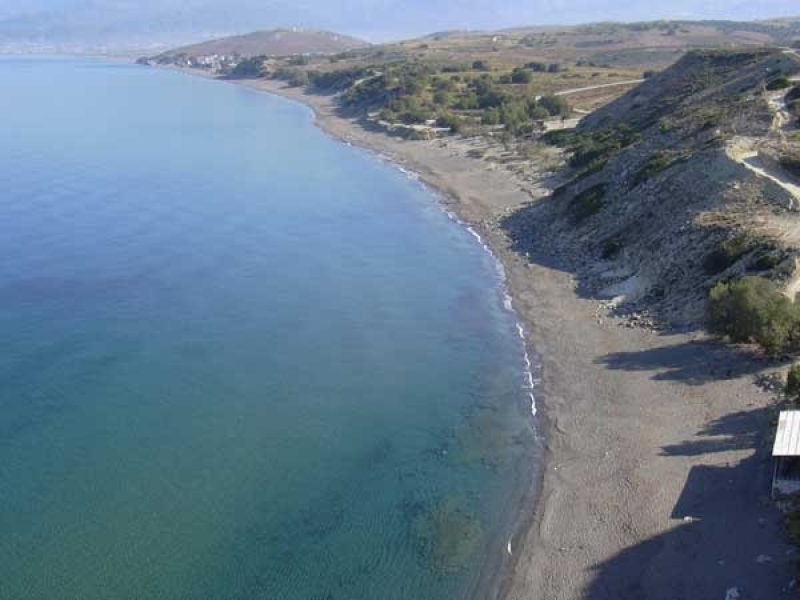 Kommos was in fact a major port, with monumental Minoan palatial buildings, massive stone storage complexes, and a Minoan town (ca. 1800-1200 B.C.). Post-Minoan remains include a Greek Sanctuary that was active until the Early Roman period, when the site was abandoned (ca. A.D. 200). The artefacts discovered there come from as far away as Cyprus, Egypt, and Sardinia. 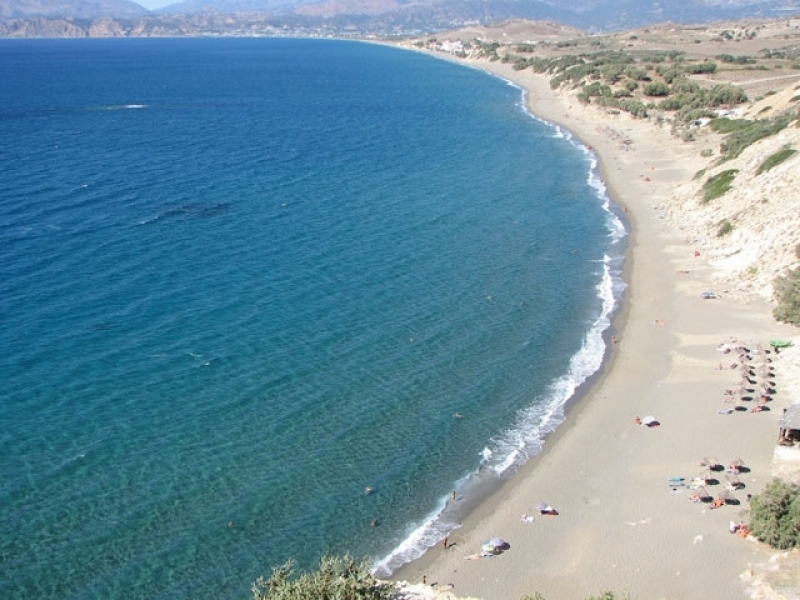 Komos is also widely considered to be the best nudist beach on Crete; Captain Barefoot thought it was wonderful and gives it a rating of 96%. 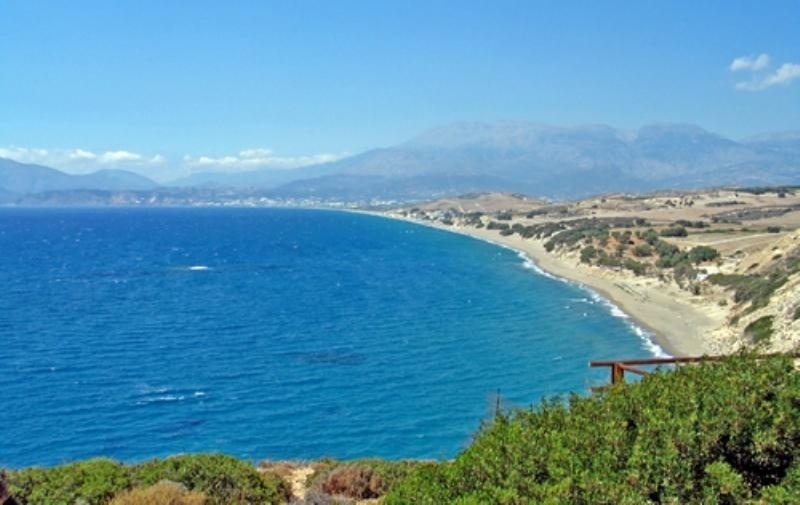 The naturist section of this beach starts just north of the archaeological ruins and is more than half a kilometre long. There is some shade under trees at the back of the beach. There is plenty of room for everyone, even at weekends, and for your further enjoyment, "The Cakeman" can bring you delicious homemade cakes and coffee while you sit in the sand and watch the waves. 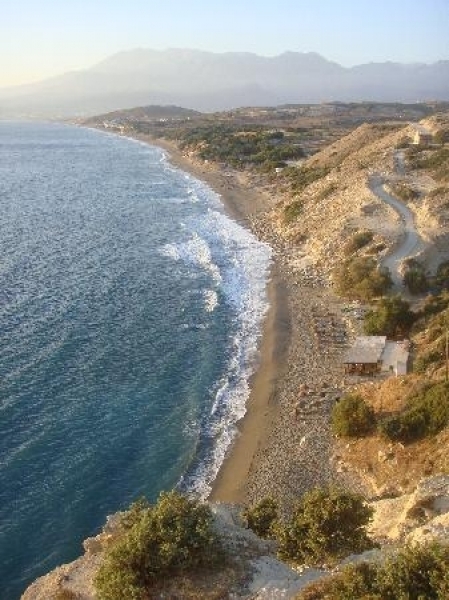 From the main road in Pitsidia turn right at the supermarket with the sign "Rent Rooms Nikos" and then immediately to the left on an asphalt track marked "Komos Beach". 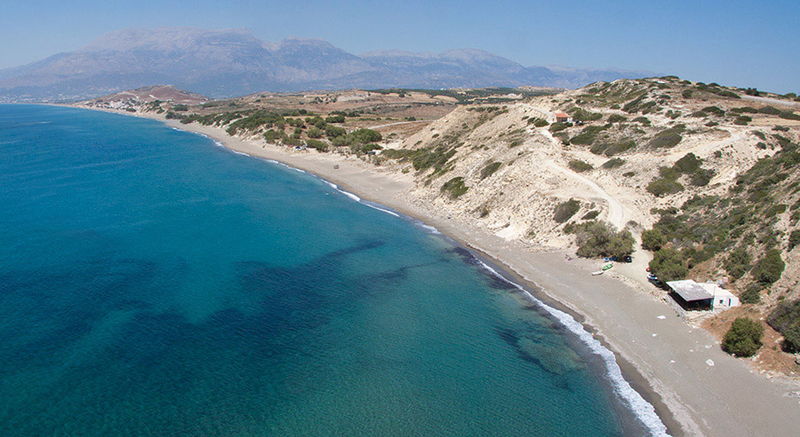 Follow this track to the crossroads with the sign "Horse and pony riding Pitsidia". At this point you can either follow the tarmac road to a large car park near the archaeological site. From here it is a short walk north along the beach to the naturist section. Alternatively turn right on a dirt road. After 500 m you come to a place where you can park in shade under trees very close to the centre of the beach; however parking space here may be limited.